1st time on the market in 45 years! 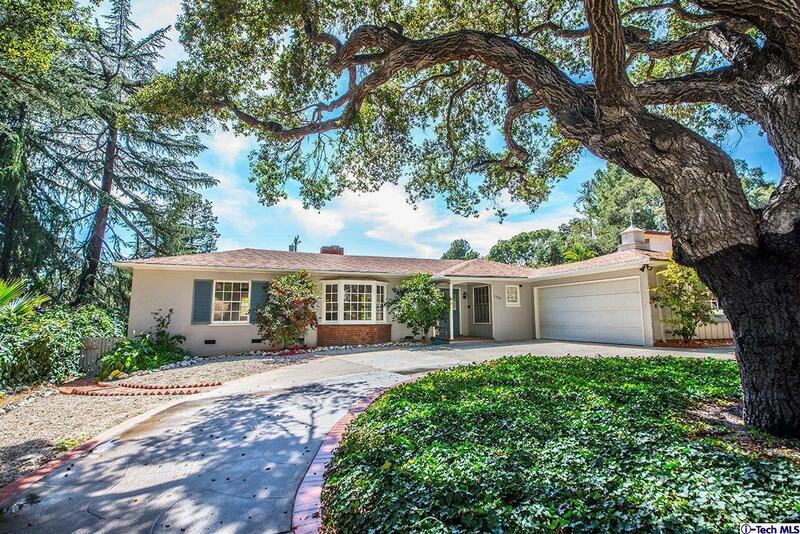 Arrive in your circular driveway under a grand majestic Oak tree in this tranquil Verdugo Woodlands Ranch style home. Located on a quiet street yet nearby access to public transportation, parks and schools. Step into this time capsule 1939 home with freshly painted interior and beautifully refinished hardwood floors. This is a 4 bed, 1 3/4 bath home. The 4th bed and an extension of the dining room were added with permits many years ago. The full bathroom has original style tile and fixtures and another 3/4 bath is centrally located. Featuring an original, functional kitchen with room to expand awaiting your modern personal touch. Laundry room inside, pantry and more storage. Features:large living room w/fireplace, oversized dining room w/ breakfast area which leads to an outside covered patio. Beyond is a large yard with mature fruit trees & room for a pool & more! 2 car attached garage w/ xtra outside parking. Hurry! This one won't last!